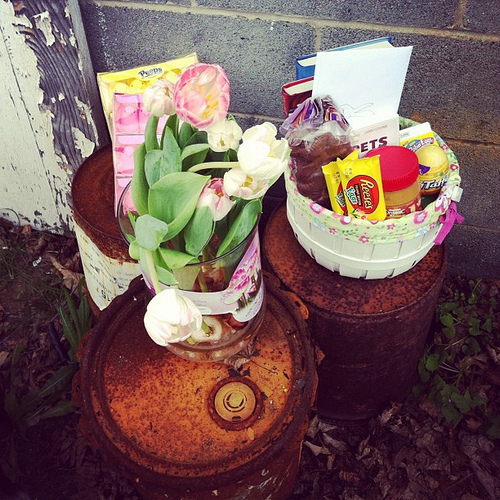 I was pretty excited when I found my Easter basket last Sunday. Hunger Games! Chocolate! Marshmallow peeps! And Bloomaker tulips! 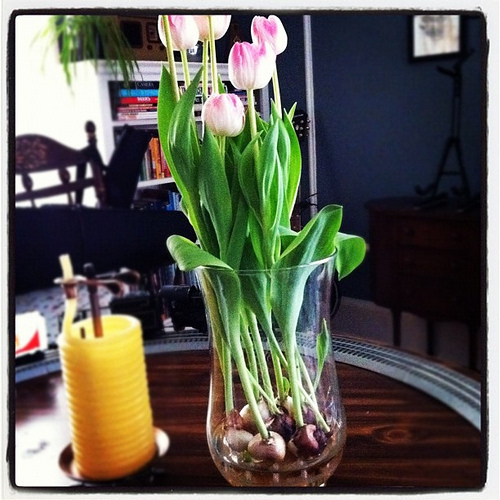 Just as the bulbs I planted last fall are starting to bloom outside, I have these tulips blooming inside. So pretty!